This chapter presents security solutions in integrated patient-centric Web-based health-care information systems, also known as electronic healthcare record (EHCR). Security solutions in several projects have been presented and in particular a solution for EHCR integration from scratch. Implementations of Public key infrastructure, privilege management infrastructure, role based access control and rule based access control in EHCR have been presented. Regarding EHCR integration from scratch architecture and security have been proposed and discussed. This integration is particularly suitable for developing countries with wide spread Internet while at the same time the integration of heterogeneous systems is not needed. 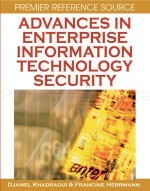 The chapter aims at contributing to initiatives for implementation of national and transnational EHCR in security aspect.